Iraqi Christians are increasingly fearful that the recent ousting of a Christian mayor by a pro-Kurdish council is evidence of a Kurdish agenda to usurp control of northern Christian-majority towns. 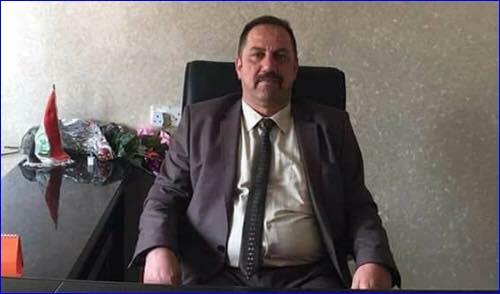 Fayez Abed Jawahreh, the mayor of Alqosh, a Chaldean-majority town, was dismissed from office on 16 July by Bashar Al Kekee, the head of the Nineveh Provincial Council and a member of the ruling Kurdish Democratic Party (KDP), led by Kurdish President Massoud Barzani. In the wake of the ousting of Mr Jawahreh, who has formerly faced Kurdish-led attempts to unseat him, Alqosh will be administered by KDP member Adel Amin Omar. Alqosh was left semi-deserted after the arrival of IS in 2014, as locals, including Mr Jawahreh, aided by Assyrian militias and Kurdish Peshmerga, successfully defended it from occupation. Many Christians fled the Nineveh Plain for neighbouring Iraqi Kurdistan. Some residents who fled have already returned, along with Christians displaced from worse-affected towns and villages. However other residents are still living as refugees in Kurdistan and elsewhere in the Middle East. 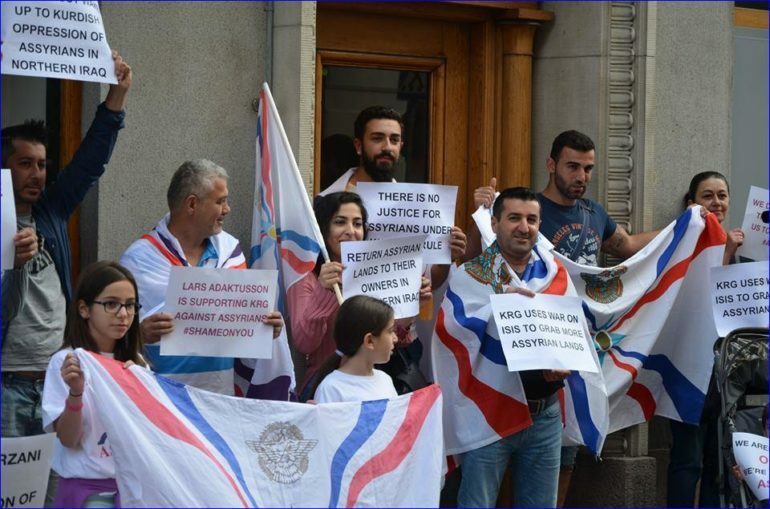 Demonstrators in support of Jawahreh took to the streets of Alqosh bearing Iraqi flags and last week (20 July) members of the Assyrian diaspora in Sweden gathered outside the office of the Kurdistan Regional Government (KRG) in Stockholm to protest against his removal. Mr Jawahreh’s dismissal comes two months before the date set by President Barzani for a referendum on independence, which the Iraqi government has rejected as “unconstitutional”. While Christian leaders have been reluctant to comment publicly on the referendum, Chaldean Patriarch Louis Raphaël I Sako in May was critical of the KRG for holding the vote while Baghdad has to focus on massive rebuilding and enabling refugees to return following territorial victories against the Islamic State group. According to Catholic news agency Fides, KRG leaders are trying to co-opt Christians to back the referendum. Many Christians believe a strong central government in Baghdad to be preferable to Kurdish rule, given the Kurds’ role in the massacres of Assyrians a century ago. Meanwhile another Christian mayor in the region, Basim Ballo of the town of Telkaif, said he feared he could be similarly ousted. Mr Jawahreh’s removal was part of a Kurdish conspiracy to get rid of any Christian in high office in the Nineveh Plain, he told the Australian Special Broadcasting Service. Over the border in Syria, Catholic Syrian Archbishop Jacques Behnan Hindo of Hassaké-Nisibi said members of the Kurdistan Democratic Party (PKY), the Syrian branch of the Karkeren Kurdistan Party (PKK), were attempting to impose their own tax system, and had “confiscated and closed the schools”. “Half of them have been turned into barracks, and in the others they said they want to introduce new school programmes, which will be done in Kurdish,” he told Fides. He said he advised PYD members not to assume that the US support they enjoy would last indefinitely. In Hassake, which appears to be under PKY control, on 21 July the body of a Christian Professor, Basil Isaac, killed by a single bullet to the head, was found in a nearby village. The dean of a local agricultural college, he was well known locally. No perpetrator or motive has yet been determined, nor any ransom demand made.